I was taken by Whisperers at 2:00pm, so I never pulled the lever for the laundry chute. The town of Spindrift is frequented by pirates, Shadow Mages and charlatans. It's also home to the Orphanage School, where Finlay lives with Glim, Taya and Eli. Just outside town is the painfully posh Brathelthwaite Boarding School, home to Honey Bee, Hamish and Victor, Duke of Ainsley. 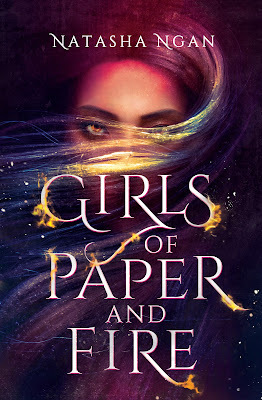 When the two schools compete at the Spindrift Tournament, stakes are high, tensions are higher, and some people are out to win at any cost. Before long, the orphans and the boarding school are in an all out war. 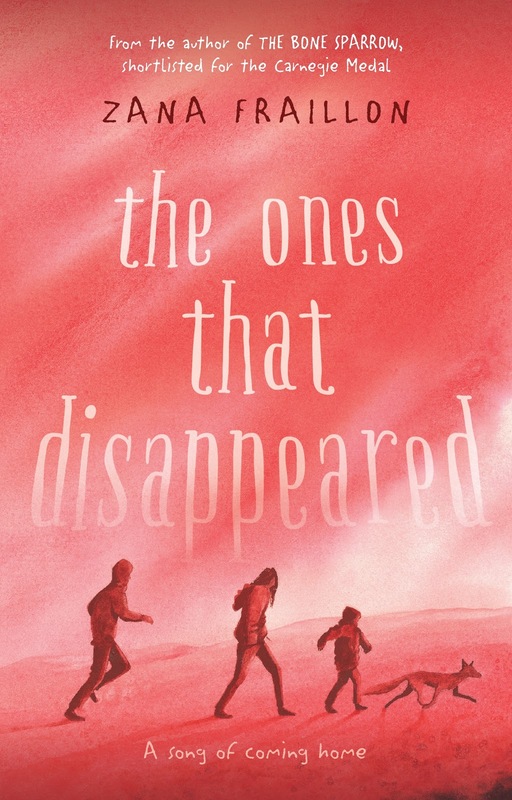 Seventeen children have disappeared from Spindrift, thousands of children across the Kingdoms and Empires. The town of Spindrift resides within the Kingdom of Gusts, Gales, Squalls and Violent Storms, each year children within the Kingdom participating in the Spindrift Tournament for prestige, including the children of the Orphanage, reigning defenders of the tournament. Brathelthwaite Boarding School are competing in the tournament, the privileged students and conceited headmaster believe victory is foregone conclusion but when the tournament is challenged, the orphanage and Brathelthwaite Boarding School declare warfare. Almost eleven year old Finlay is a resident of the Spindrift Orphanage, abandoned as a small child along with best friend and resident storyteller Glim. Twins Eli and Taya washed up upon the Spindrift shore and joined the fray at the Orphanage under the their caregiver Lili Daisy. The children are educated and cared for, although Honey Bee of the Brathelthwaite Boarding School will advise you differently. She'll tell you those unfortunate children are nothing but trouble. 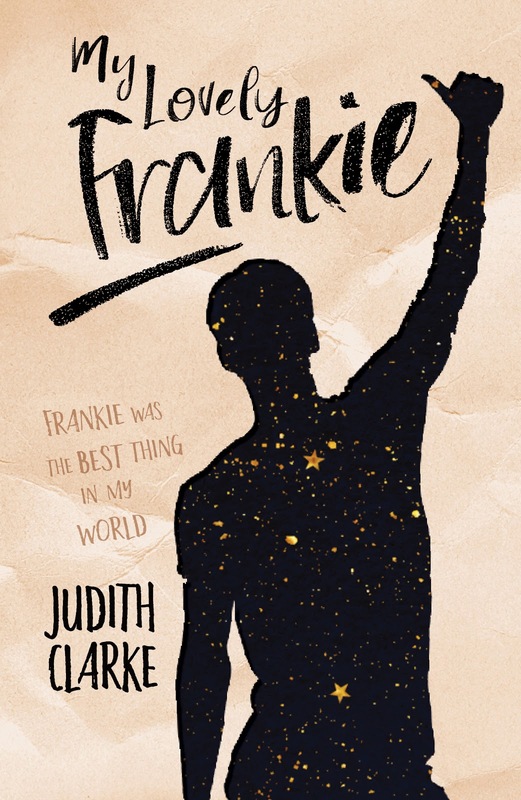 If you ask Finlay, he'll tell you about those entitled children at the Boarding School, sitting on their breeches eating pastries and drinking tea but the Brathelthwaite Boarding School isn't as delightful as Finlay believes. Under the watchful eye of her uncle, the students at the Boarding School adhere to very stern guidelines, anything less could be deserving of a whipping. When the Orphanage goes up against the Boarding School, revenge ensues until another child disappears. The Whispering Kingdom declares warfare, brandishing Mages, Gnomes and Whisperers in an attempt to destroy the Kingdom of Gusts, Gales, Squalls and Violent Storms. 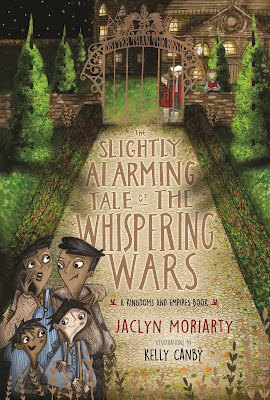 In The Slightly Alarming Tale of the Whispering Wars, our alternating narrators Finlay and Honey Bee are documenting the circumstances surrounding the Whispering Wars, child abductions, a rampant illness and the destruction of Spindrift by the use of illegal shadow magic. The children must put their differences aside and work together to find the missing children by becoming missing children themselves. The underlying themes of socioeconomics, concentration camps, abduction and child labour are woven throughout the narrative, a wonderful point of discussion for middle grade children. Jaclyn Moriarty sprinkles a delightful whimsicality throughout the narration, creating enchanting characters that are wonderfully illustrated. A born storyteller and a phenomenal read for the young and young at heart. On her eighteenth birthday, Hayden inherits her childhood home, on the condition that she uncover its dark secrets. Hayden has tried to put the past behind her, and so far it's worked. She's getting ready for college, living in a Brooklyn apartment, and hanging out with her best friend and flatmate, Del. 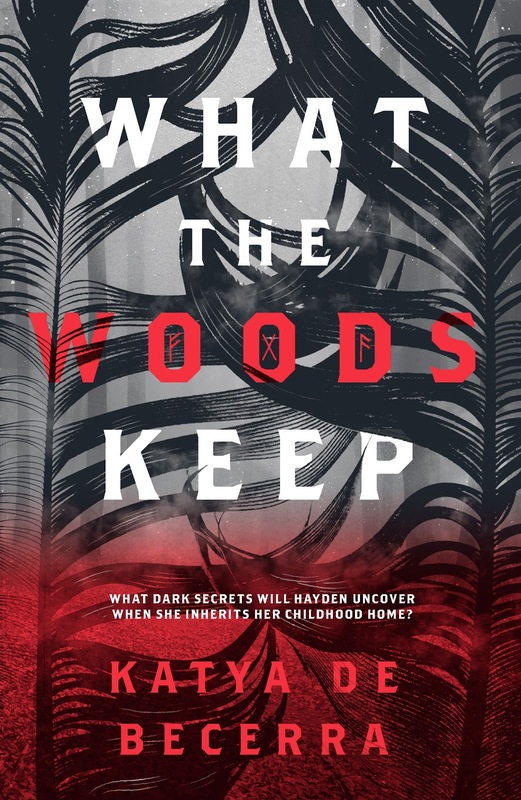 But now it's all catching up with her, her mother's mysterious disappearance a decade ago, her father's outlandish theories about a lost supernatural race, and Hayden's own dark dreams of strange symbols and rituals in the Colorado woods where she grew up. As soon as Hayden arrives at her hometown, Del in tow, it begins. Neighbours whisper secrets about Hayden's mother; the boy next door is now all grown up in a very distracting way and Hayden feels the trees calling to her. And among them, deep in the woods, Hayden will discover something incredible, something that threatens reality itself. Hayden Holland has lived an extraordinary life. The daughter of a renowned physicist, Hayden vividly remembers the wilderness of Promise Colorado, an adventure beside her vivacious mother into the neighbouring forest surrounding the Holland Manor residence. Until her mother disappeared, Thomas Holland impetuously relocating his daughter to New York. Hayden has inherited the Holland Manor, her mother declared deceased in absentia and bequeathing the now abandoned estate upon rigorous conditions. Discover the possessions of Ella Holland within the stately manor. Use those possessions to destroy her heaviest burden and trust no one. Especially the ravens. The ambiguous testament is reminiscent of how Ella Holland prevailed, whimsically and surreptitiously, wandering into the forest instinctively and often compelled by a greater force. Hayden now resides in Brooklyn and embarking on her first year at university, her mother is a continuing presence despite intensive clinical psychological therapy throughout her adolescence. Hayden experiences impulsive moments, perceived as a violent, neurotic child after an altercation at school. Thomas Holland is now a dishonoured physicist. Motivated by the disappearance of Ella, Thomas Holland is a conspiracy theorist, researching Germanic mythologies in particular the Nibelung since the loss of his university tenure. Unbeknownst to her father, Hayden is journeying home to Colorado with best friend Delphine Chauvet, a French Sengelease University student. Hayden is an intellectual young woman, finding solace within scientific reasoning and thought. The disappearance of her mother rendered her relationship with her father as fractured, as Hayden was removed from the Holland residence and friend Shannon Reaser. Inseparable childhood companions. Returning to Promise is a demoralising situation for Hayden and although Delphine speculates that Hayden isn't forthcoming with information about the disappearance, she is a source of unconditional companionship. Delphine appeared suspiciously accepting of each new revelation, how Ella Holland disappeared within the scorched forest, the insistence of Thomas Holland of otherworldly intervention and the apparitional possession she scarcely remembers, compelled as a conduit to guide Hayden to uncover the burden placed upon her mother. The mythology woven throughout the narration was enchanting. The Nibelung is Germanic and Old Norse referring to a mythical dimension of a supernatural monarchy declaring warfare. Upon her return, Hayden and childhood companion Shannon reestablish a tentative friendship, although his contribution as a potential romance for Hayden is underwhelming. His friend Santiago is enamoured with Delphine, creating an intense environment for Hayden and Shannon. Atmospherically, Promise Colorado creates an impression of peculiarity and a religious idolisation of the Nibelung mythology as Hayden is coerced into a congregation of residents engaging in ritualistic, sacrificial bloodletting. Katya de Becerra has created a deliciously and intensely sinister, an infusion of a contemporary and paranormal narrative entrenched with the atmospheric Colorado timberland. A wonderfully intellectual and exceptional read from a remarkable debut author. Following Kit’s parents’ deaths, her uncle and guardian, Doc, transformed the island into a boarding school for mentally ill teenagers and sent Kit away to school on the mainland. But when Kit tries and fails to end her life, Doc brings her home to the island and places her in the care of his colleague, Dr Hannah Ward. Resisting her treatment, Kit instead pulls her friends deeper into her world of make-believe. 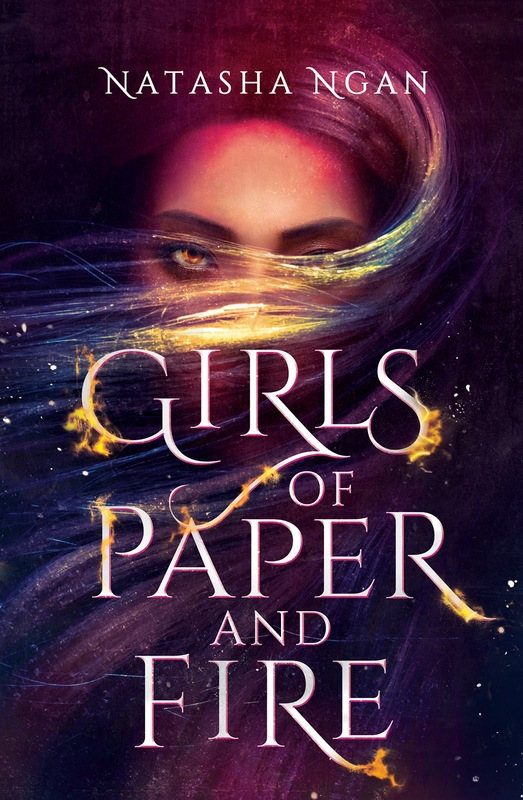 It’s only when Kit and her new boyfriend, Rohan, take the fantasy too far and land themselves in very real danger that her faith in Neverland is shaken, and Kit must find a way back to reality. Found bloodied and lifeless after attempting to take her own life, Katherine Eloise Learmonth is returning to her childhood home of Neverland, a secluded private island now housing a wellness hospital for adolescents. Seven years ago in a tragic sailing accident, Kit's parents perished, Kit the only survivor found on board the small vessel bound for the mainland. 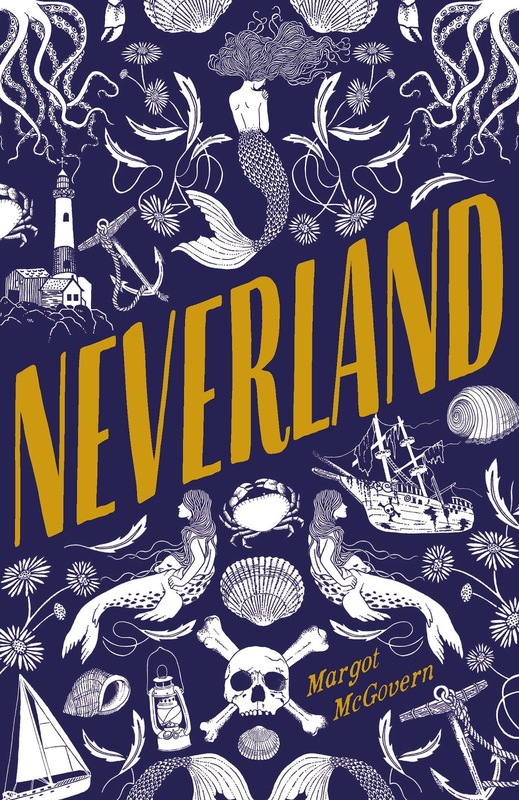 Neverland is an island and former residence of the Learmonth family, Kit growing up playing upon the shore and dreaming of the mythological stories her father created for his best selling novel Kingdom By The Sea. The island is now home to at risk teenagers, sent to the exclusive resort style wellness centre to work with renowned psychiatrists and doctors, including Kit's uncle affectionately known as Doc. Kit uses self harm to escape the numbness of her parent's death, her mind unable to remember the tragic accident rendering her an orphan and placing her in the care of her uncle. Kit becomes the unreliable narrator, her trauma lingering as she still accepts the responsibility for the death of her parents. She begrudgingly accepts counselling sessions but often explores emotions of guilt and neglect as the narrator of a fictional story, replacing moments of difficulty with outlandish characters such as mermaids, selkies and sirens, incorporating the Neverland mythology taken from her father's best selling book. Avoiding the confrontation of self reflection leaves Kit carrying feelings of animosity and abrasiveness towards authority. When she begins to accept help, her breakthrough occurs but it's a long journey for Kit to travel alone. Kit's treatment included stays in isolation, counselling and medication. It also explored relationships and mental health and the downfalls of a toxic relationship as she befriends new patient Rohan. Although Neverland centres upon Kit's narrative, the reader is introduced to friends Alistair and Gypsy. Alistair is a Psychopath and although friends with Kit and Gypsy, he lacks empathy and emotional responses, making him the perfect candidate for a no strings physical relationship with Kit. Gypsy has been diagnosed with Anorexia Nervosa and currently in a relationship with a young and upcoming actor. Gypsy is heavily influenced by her relationship and the media, after visits from her boyfriend, her condition deteriorates. Although friends and a support for one another, they often enable one another, sneaking off grounds to drink, smoke and escape the confines of the wellness hospital. The one respite for Alistair and Kit is a sailing carnival hosted yearly on the island. 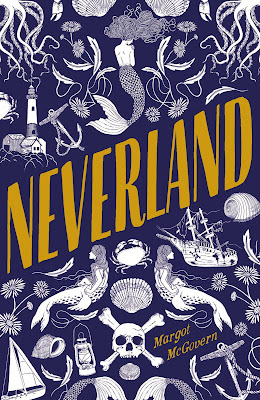 The most striking aspect of Neverland is the blending of realism and imagination. 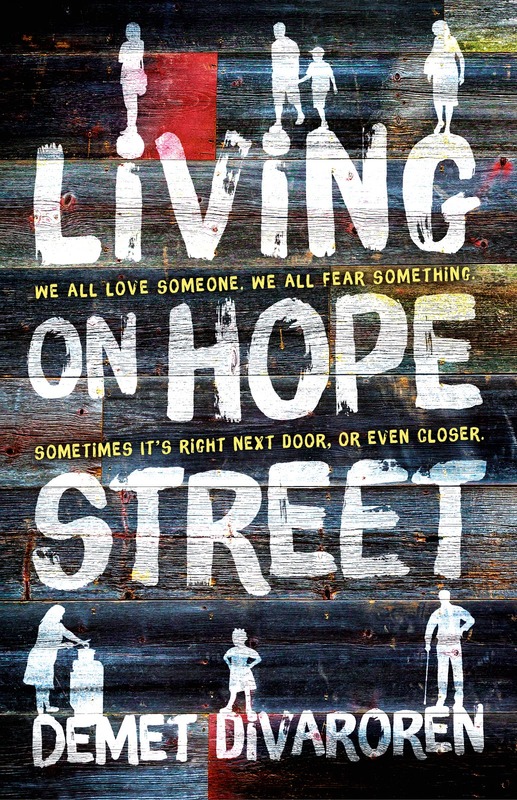 It's written with a compassionate and considerate narrative yet realistic in the portrayal of mental wellness. One scene in particular has stayed with me, Alistair, in a rare moment of seriousness, displaying his vulnerabilities. There's no cure for what I have. I'm not capable of change. But you, you can get better. Don't squander that because you're scared. For Kit, that had become a sobering moment and the realisation that Rohan had become another toxic element in her life and to become well, she must journey alone. It was a sign of maturity and progress, for Kit to come to the realisation that she needed professional help. Although Neverland is a difficult, confrontational read, it reiterates the importance of recognising when we need help and accepting the hand that is able to guide our way. Not a cure, but feeling well with the assistance of coping mechanisms and medication. Margot McGovern has crafted a masterful and remarkable debut that destigmatises mental illness through characters that will resonate with readers. Tread softly my friends. Prime Minister Scott Morrison and Minister for the Arts Mitch Fifield today announced the winners of the 2018 Prime Minister's Literary Awards at a ceremony at Parliament House. Winners across the six categories received one of the most prestigious literary awards in the country. Prime Minister Scott Morrison said the Government was proud to support Australia's outstanding authors through the Awards, now in their eleventh year. Minister Fifield said reading has far reaching benefits, it expands our understanding and stimulates our imagination. These Awards reinforce the importance of literature and reading across all ages, this year receiving more than five hundred entries across the six prize categories, an exceptional response from our writers, poets, illustrators and historians. From this competitive group of entries, the judges selected a diverse and deserving list of finalists and identified outstanding winners. Today we celebrate the nominees for the young adult literature award. This is my blood, This is my song. In the 1940s, musician Rafael Ullmann is sent to a Nazi concentration camp. In the 1970s, Annie Ullmann lives a lonely life on a Canadian prairie. Three decades later, in Australia, Joe Hawker is uncertain about himself and his future, until he discovers a song, written by his grandfather many years ago. This Is My Song crosses three continents and timelines, chanting the need for each of us to find our own music, to sing to those we love most. Beautifully written, Richard Yaxley’s unforgettable story strikes a chord and plucks the heartstrings. There have been, of course, many novels about the Holocaust, including ones for younger readers. 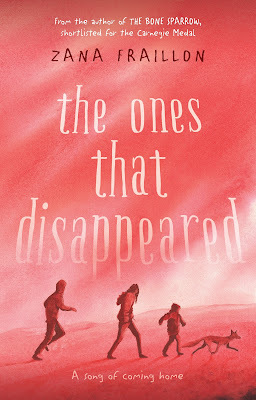 This book explores the way the terrible events of the Holocaust affect the generations following, sometimes in ways even they don't understand. This is My Song also explores the damage that secrets can do. 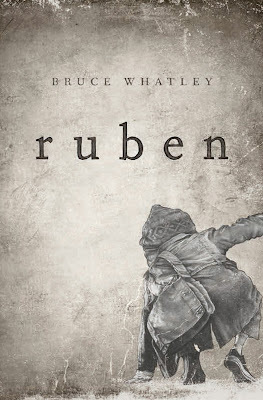 It is poignant, memorable and intensely moving. Check out all the nominations and winners in their respective categories on the Department of Communications and The Arts here. 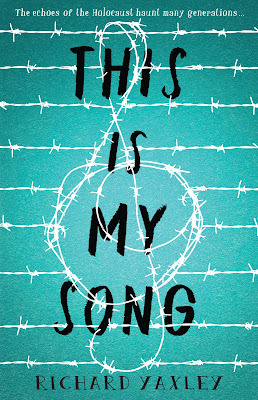 You can win a young adult book pack containing all of the young adult literature nominees, including the Prime Minster's Literary Award Winner, This Is My Song by following and retweeting on Twitter here.